This interactive learning tool teaches young learners how to navigate nonfiction text features for reading success. Teaches captions, maps, sidebars, tables, venns, glossaries, graphs, and more! 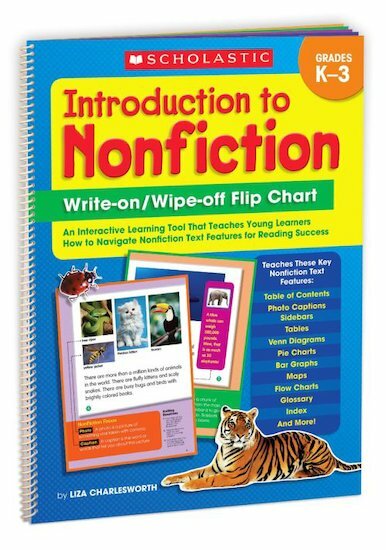 This interactive learning implement teaches youngsters how to navigate nonfiction text features for reading success. Teaches captions, maps, sidebars, tables, Venn diagrams, glossaries, graphs, and more! Use with any dry-erase pen!